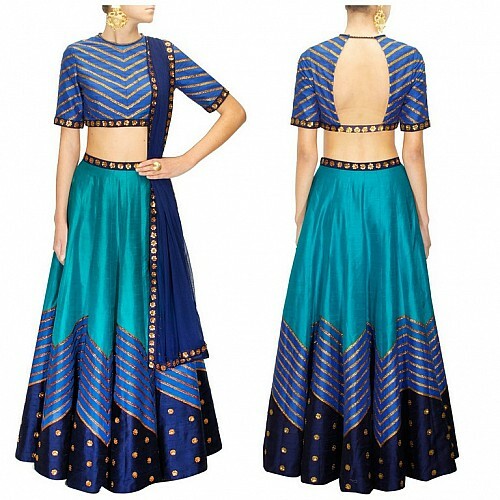 Featuring a teal blue raw silk lehenga with printed lines and navy blue border embroidered with gold sequins flowers. It is paired with teal blue raw silk blouse with zig-zag printed lines and gold sequins flowers. This set features pink floral resham work with sequins embellished on it. It comes along with matching red blouse and sequins embellished on it. It is..